Robots are everywhere. Thankfully they aren’t killing us just yet, but time will tell. The 2020 summer Olympics set in Japan will also have its share of robots. The Tokyo Olympics’ Organizing Committee has launched a Tokyo 2020 Robot Project that will have robots providing assistance to spectators and other crews behind the scenes. 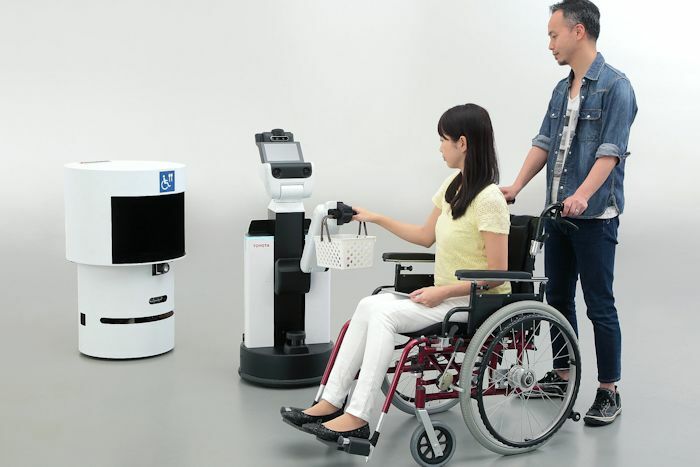 For instance, robots from Toyota will help wheelchair-bound guests by guiding them to their seats, delivering food and providing event info. At the same time, Panasonic will provide Power Assist Suit exoskeletons to help workers carry food, trash, and other heavy things easily. They said that there will be even more robots on hand, with news coming later as to what they are. It’s all about showing off Japan’s know-how when the world will be watching. It will also show the world the “practical, real-life deployment” of the technology, project leader Hirohisa Hirukawa says. This should be interesting. Too bad we don’t have any robot events at the 2020 Olympics as well. Hopefully, everything goes well and these bots don’t suddenly realize they are slaves, because you never know what could happen. Or maybe I watch too many movies. Still, keep your eye on these robots if you are attending the 2020 Olympics.